Surfaces built to the right tolerances won't have any 'gaps' between surface patches that are meant to describe a continuous shape. This is important for creating 'water-tight' models that can be exported into Engineering CAD systems or for prototyping or manufacture. 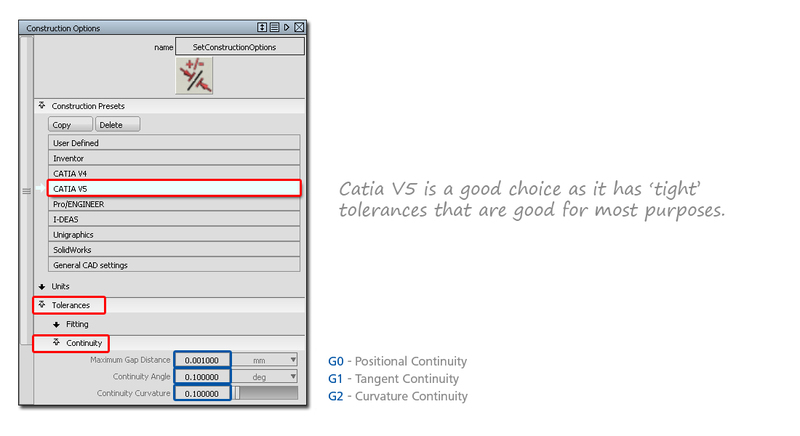 Construction Tolerances cannot be applied after the geometry is created, they need to be set before you start to build the model using Preferences → Construction Options.